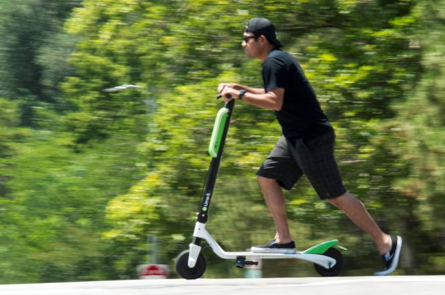 LAKE TAHOE, CA – Lime, one of the nation’s largest electric scooter companies, pulled thousands of its scooters off the streets since this summer after discovering that a small number of them may be carrying batteries with the potential to catch fire. In one recorded incident, the Lake Tahoe Fire Department was called to the company’s Lake Tahoe facility after a scooter burst into flames. Luckily, an employee was able to use a portable fire extinguisher to put the flames out long enough to move the scooter to an empty parking lot.